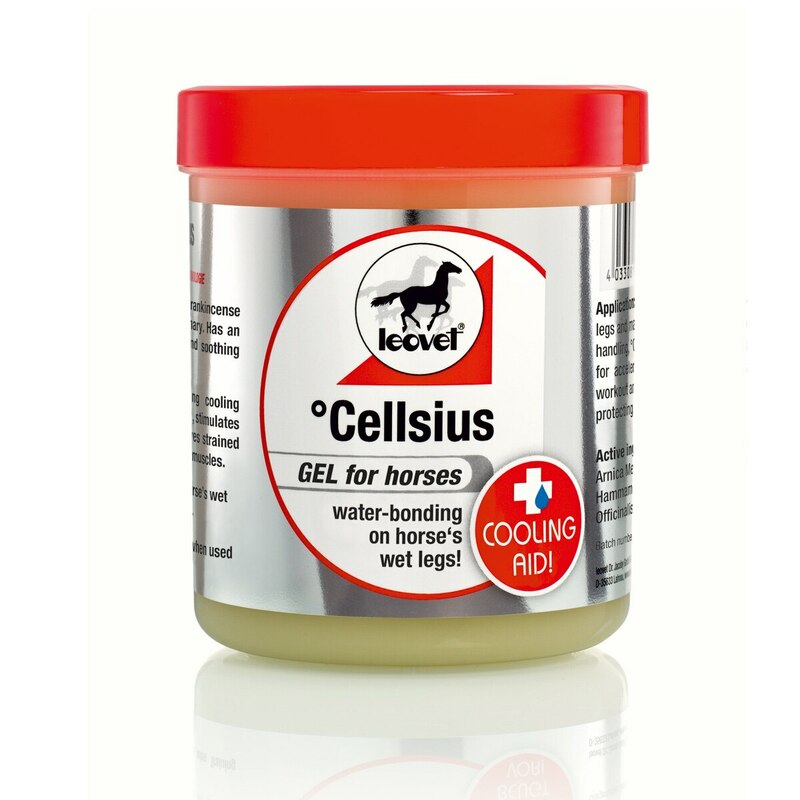 Leovet Cellsius Gel retains the cool-down effect achieved by a quick hosing down of the horse's legs thanks to the new water-bonding, WATERDROP-TECHNOLOGY. This product can be applied to the horse's wet legs and stay in place much like a cooling cuff does. The strong and long-lasting cooling effect deeply penetrates in order to stimulate fast recovery and relieve strained ligaments, tendons and muscles. Leovet Cellsius Gel is rated 4.5 out of 5 by 2. Rated 4 out of 5 by BenAZ from Great product This is a great product to cool my horses legs. Unfortunately it was not sealed (which I would have ecpected) so the lid had opened a bit during shipping.